".....the character played by Julianne Moore was 'quite literally based on my grandmother,' whose larger-than-life persona was so different from his childhood in New Mexico. "When I was a child it was really like she was from another planet. It seemed like she lived in a different world, and wherever that was, I wanted to go." 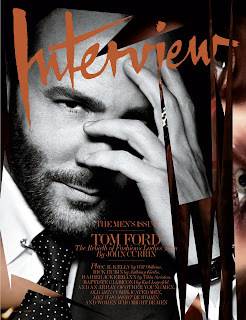 Tom Ford covers the new Interview.